There are various reasons why you need to get your lock changed. Maybe you lost your current set of keys or the current locks are already worn out due to heavy use. Perhaps the lock broke down due to a worn out cylinder or you just want to ensure that your house is safe. You don’t need to worry at all as we can change your locks fast. Fresh Meadows Best Locksmiths is your trusted partner for your locksmith needs. We offer effective high security door and lock solutions at reasonable prices. We provide a wide range of locks as well as commercial, auto and residential locksmith services 24/7 to improve the security in your business, car and home. Our locksmiths can work on your locking system with the level of expertise you expect from us. Why Get Your Locks Changed by a Professional? Knowing that your locks broke down or are no longer functioning won’t give you any peace of mind. You will feel restless and anxious as the security of your home and family is put at risk. Keeping your valuables safe is another thing to worry about. Changing your locks needs to be done fast. We are here to help. You may be tempted to change the lock on your own to save money and time because you don’t want to wait for the locksmith to arrive. However, doing so is not exactly the wisest decision to make. 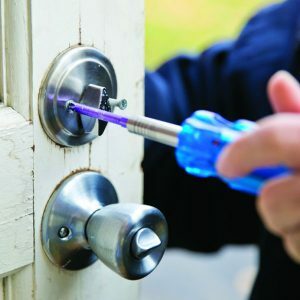 If you don’t have the experience and tools of a locksmith, changing the locks on your own may result in errors that could make your business or home easy to infiltrate or break into. Lock installation problems can cause the lock to break down and hard to remove. This will make it hard to go out of the building in case of an emergency. As such, it is important that you get the lock change Queens performed by a professional locksmith to ensure that the installation is successful and safe. We can help you find and install the right lock for your home, car and business. If you want to keep your current locking system but you want to change the keys, we can help you re-key your locks. We can also make new keys and help you get out of or in your home or car if you accidentally lock yourself out or in. Just call us and we will come to you right away. We can make the necessary upgrades to your locking system or change the locks completely. Maybe you need to change your house keys. If a portion of a family member’s house key broke and remained stuck in the lock, that part needs to be removed. The door lock may need to be changed as well. You may need to change all the door locks in your house as well. Our locksmith can remove the broken portion from the door lock and assess the lock for any damage caused by the broken key. Your locksmith will bring matching sets to replace the door lock fast, if needed. If a burglary recently took place, you need to change your door locks right away. You may also need to change your doors and install a home security system. If you need to get your locks changed, just call us and we will replace it right away. When one of your employees has lost a copy of his key to your business building, you need to change the lock for every door that matches the lock. You know how important protecting your business building is. Business documents and files as well as office equipment and supplies are too important to be stolen. You don’t want your business to suffer great losses due to a lost key or a broken lock. A professional locksmith will come to your building to remove the old door lock and install a new one. If you are using high-security door locks, we will replace them with new high-security locks. We can also provide some recommendations about the locking systems that best suit your business. We can perform emergency lock out services. If you accidentally locked yourself inside or outside of your car, you don’t need to worry at all. We can get you out of or inside your car fast. We can also help you if your car keys got stuck in the ignition. Your locksmith will remove the stuck key and assess the ignition for any damage. Depending on the situation, he may recommend taking the car to the dealership’s service department and getting the ignition replaced or replace the ignition on his own. You don’t need to worry because our locksmiths are equipped with the tools and parts they need to do their job.